A Division Bench of the Kerala High Court comprising of Chief Justice Ashok Bhushan and Justice A.M. Shaffique, considering the scope of judicial review in the matter of rejection of clemency petition by the President, has following the Supreme Court’s judgment in Epuru Sudhakar's case, held that although decision of the President or Governor are not immune from the power of judicial review, power to review the order of the President or the Governor under Art.72 or Art.161 of the Constitution is available only on certain limited grounds. The Court was considering a writ appeal filed by one T. Mohamed Ashraf, who was convicted under Section 138 read with Section 141 of the Negotiable Instruments Act by the Chief Judicial Magistrate, Pathanamthitta in C.C. No.437 of 2002 with imprisonment for one year and compensation amounting to Rs.57,97,940/- to the complainant. The appellant filed an appeal against the judgment of the Chief Judicial Magistrate, Pathanamthitta which was dismissed by the District and Sessions Judge, Fast Track, Pathanamthitta, against which a Criminal Revision was filed by the appellant in the High Court. The High Court partly allowed the Revision Petition, by modifying the Substantive sentence awarded to the petitioner to simple imprisonment till the rising of the court, and granting him six months' time to deposit in the trial court Rs.57,97,940/- for payment to the complainant by way of compensation under Sec.357(3) of the Code and in case of default, to undergo simple imprisonment for three months. Against the said judgment, the appellant filed a SLP which was dismissed by the Supreme Court though time for payment was extended for a period of three months. After the above proceedings were over, the appellant submitted a petition dated 27.03.2010 described as clemency petition before the President of India for pardon. Pending consideration of the clemency petition, the appellant filed a writ petition praying for a direction to the Chief Judicial Magistrate not to proceed with the steps in execution of the judgment till disposal of the petition submitted by the petitioner to the President of India under Article 72 of the Constitution of India.. A Single Judge of the High Court dismissed the said Writ Petition against which a writ appeal, W.A. No.829 of 2010 was filed before the Division Bench, where an interim order was granted subject to deposit of one half of the compensation ordered. The clemency petition eventually was rejected by the President, following which the writ appeal was dismissed as infructuous. 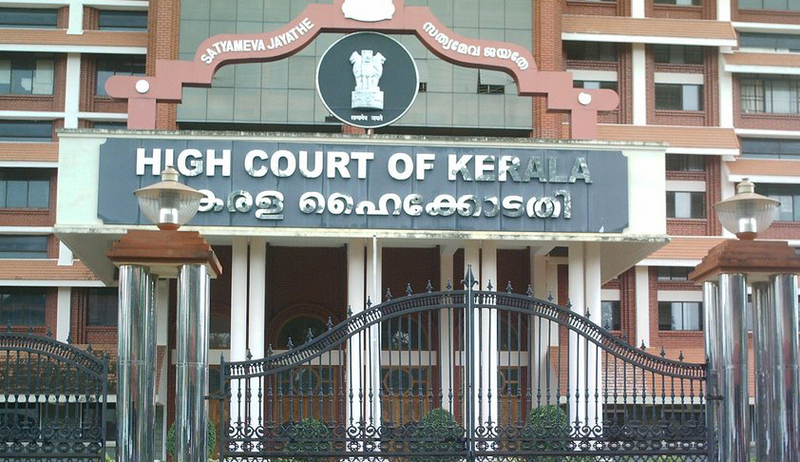 Thereafter, the appellant filed a fresh writ petition the Chief Judicial Magistrate, Pathanamthitta not to proceed with the steps for apprehending the petitioner in furtherance of the judgment in C.C. No.437 of 2002 ‘pending disposal of the clemency petition, Exhibit P1 judgment modified by Exhibit P3 judgment till the disposal of the clemency petition, Exhibit P10 petition in accordance with law.’ which was dismissed by the single Judge who took the view that the conviction having become final upto the Apex Court, the High Court in exercise of the jurisdiction under Article 226 of the Constitution of India cannot stay the execution proceedings. The contention of the appellant in the writ appeal against the said judgment of the single Judge was that the observation of the learned Single Judge that no proceeding is pending consideration before any competent authority is incorrect. It was the further contention of the appellant that the Single Judge ignored the challenge of the petitioner to the communication informing him of the rejection of the clemency petition, and that the power of President of India conferred under Article 72 of the Constitution of India is subject to judicial review. The Central Government Counsel and the Government Pleader refuting the submissions of the appellant’s counsel contended that conviction of the appellant having been confirmed by the Apex Court, the appellant is not entitled to any relief in the Writ Petition. It was submitted that the Writ Petition is nothing but a device for delaying the execution of sentence although conviction has been confirmed upto the Apex Court. It was also submitted that the President of India in exercise of the power under Article 72 of the Constitution of India has rejected the petition of the petitioner for pardoning after considering all relevant aspects including the report received from the State Government. The Court after referring to the pardoning power of the President under Article 72 of the constitution and the historical developments in that regard, said that the conviction of the appellant had already been confirmed by the Apex Court and the clemency petition having been dismissed by the President, the Single Judge has rightly observed that no proceedings are pending on the basis of which proceeding for execution of sentence can be stayed by the Court in exercise of the Writ jurisdiction under Article 226 of the Constitution of India. Dealing with the second submission that although the appellant had prayed for quashing the decision of the President of India refusing his application to commute the sentence, the Single Judge has not adverted to the above, the Division Bench said that in none of the grounds in the writ petition was there any challenge to the decision of the President rejecting the petitioner's application for pardon, nor any grounds were raised in the Writ Petition on the basis of which this Court could have reviewed the decision of the President in exercising its power of judicial review. The Division bench then referred to paragraphs 22 to 33 of the decision reported in Epuru Sudhakar's case where the Apex Court had discussed the scope of judicial review. “22. It is fairly well settled that the exercise or non exercise of pardon power by the President or Governor, as the case may be, is not immune from judicial review. Limited judicial review is available in certain cases. (supra) it was held that all public power, including constitutional power, shall never be exercisable arbitrarily or mala fide and, ordinarily, guidelines for fair and equal execution are guarantors of the valid play of power. Maru Ram's case (supra) it was held that consideration of religion, caste, colour or political loyalty are totally irrelevant and fraught with discrimination. In Kehar Singh's case (supra) it was held that the order of the President cannot be subjected to judicial review on its merits except within the strict limitations delineated in Maru Ram's case (supra). The function of determining whether the act of a constitutional or statutory functionary falls within the constitutional or legislative conferment of power, or is vitiated by self denial on an erroneous appreciation of the full amplitude of the power is a matter for the court. In Kehar Singh's case (supra), placing reliance on the doctrine of the division (separation) of powers it was pleaded, that it was not open to the judiciary to scrutinize the exercise of the "mercy" power. In dealing with this submission this Court held that the question as to the area of the President's power under Art.72 falls squarely within the judicial domain and can be examined by the court by way of judicial review. "As regards the considerations to be applied by the President to the petition, we need say nothing more as the law in this behalf has already been laid down by this Court in Maru Ram." "we cannot accept the rigid contention of the learned counsel for the third respondent that this Court has no power to touch the order passed by the Governor under Art.161 of the Constitution. If such power was exercised arbitrarily, mala fide or in absolute disregard of the finer canons of the constitutionalism, the byproduct order cannot get the approval of law and in such cases, the judicial hand must be stretched to it." The factual scenario in Swaran Singh's case (supra) needs to be noted. One Doodh Nath was found guilty of murdering one Joginder Singh and was convicted to imprisonment for life. His appeals to the High Court and Special Leave Petition to this Court were unsuccessful. However, within a period of less than 2 years the Governor of Uttar Pradesh granted remission of the remaining long period of his life sentence. This Court quashed the said order of the Governor on the ground that when the Governor was not posted with material facts, the Governor was apparently deprived of the opportunity to exercise the powers in a fair and just manner. Conversely, the impugned order, it was observed "fringes on arbitrariness". The Court held that if the pardon power "was exercise arbitrarily, mala fide or in absolute disregard of the finer canons of the constitutionalism, the byproduct order cannot get the approval of law and in such cases, the judicial hand must be stretched to it". The Court further observed that when the order of the Governor impugned in these proceedings is subject to judicial review within the strict parameters laid down in Maru Ram's case (supra) and reiterated in Kehar Singh's case (supra): "we feel that the Governor shall reconsider the petition of Doodh Nath in the light of those materials which he had no occasion to know earlier. ", and left it open to the Governor of Uttar Pradesh to pass a fresh order in the light of the observations made by this Court. In Satpal and Another v. State of Haryana and Others (JT 2000 (5) SC 566)this Court observed that the power of granting pardon under Art.161 is very wide and does not contain any limitation as to the time at which and the occasion on which and the circumstances in which the said powers could be exercised. "...the said power being a constitutional power conferred upon the Governor by the Constitution is amenable to judicial review on certain limited grounds. The Court, therefore, would be justified in interfering with an order passed by the Governor in exercise of power under Art.161 of the Constitution if the Governor is found to have exercised the power himself without being advised by the Government or if the Governor transgresses the jurisdiction in exercising the same or it is established that the Governor has passed the order without application of mind or the order in question is mala fide one or the Governor has passed the order on some extraneous consideration." Bikas Chatterjee v. Union of India (2004 (7) SCC 634). "Parliament often entrusts the decision of a matter to a specified person or body, without providing for any appeal. It may be a judicial decision, or a quasi judicial decision, or an administrative decision. Sometimes Parliament says its decision is to be final. At other times it says nothing about it. In all these cases the courts will not themselves take the place of the body to whom Parliament has entrusted the decision. The courts will not themselves embark on a rehearing of the matter. See Healey v. Minister of Health (1955 (1) QB 221)." Padfield v. Minister of Agriculture, Fisheries and Food (1968 AC 997). "The doctrine that powers must be exercised reasonably has to be reconciled with the no less important doctrine that the court must not usurp the discretion of the public authority which Parliament appointed to take the decision. Within the bounds of legal reasonableness is the area in which the deciding authority has genuinely free discretion. If it passes those bounds, it acts ultra vires. The court must therefore resist the temptation to draw the bounds too tightly, merely according to its own opinion. It must strive to apply an objective standard which leaves to the deciding authority the full range of choices which legislature is presumed to have intended." It may be pointed out that this principle was also applied by Professor Wade to quasi judicial bodies and their decisions. Relying upon decision in R. v. Justices of London (1895 1 QB214) Professor Wade laid down the principle that where a public authority was given power to determine matter, mandamus would not lie to compel it to reach some particular decision. at p. 1064.) The Court cannot substitute its judgment for the judgment of administrative authorities in such cases. Only when the action of the administrative authority is so unfair or unreasonable that no reasonable person would have taken that action, can the Court intervene." The Court then went on to hold that in the Writ Petition as well as in the appeal, no ground has been made out which may come within the limited scope of judicial review by this Court in exercise of Article 226 of the Constitution, and accordingly dismissed the appeal, but interestingly imposed no costs on the appellant despite this being seemingly a fit case for the same since the appellant had clearly filed a frivolous appeal designed solely to protract the matter.